Congratulations to all of our winners from our 4 Cars in 4 Weeks promotion which ran in the Riverside Room from 3 - 30 May 2017. 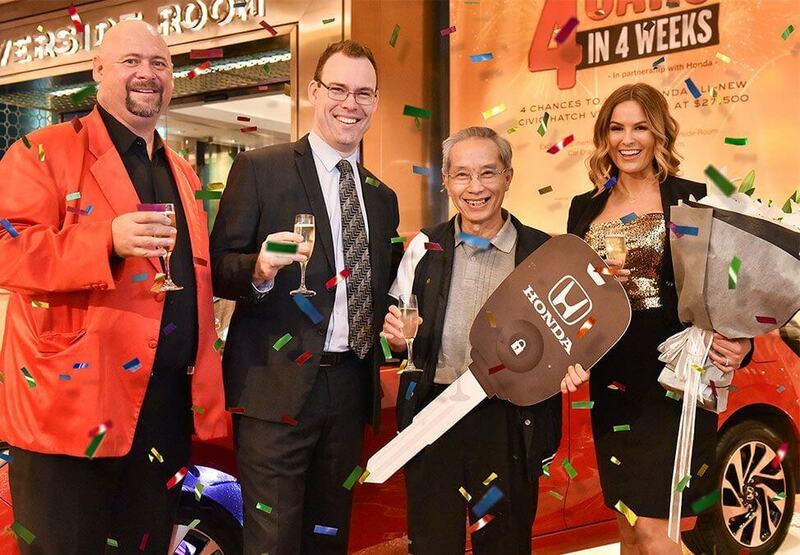 Four lucky Crown Rewards members all drove away with a brand new Honda Civic VTi-S valued at $27,500. 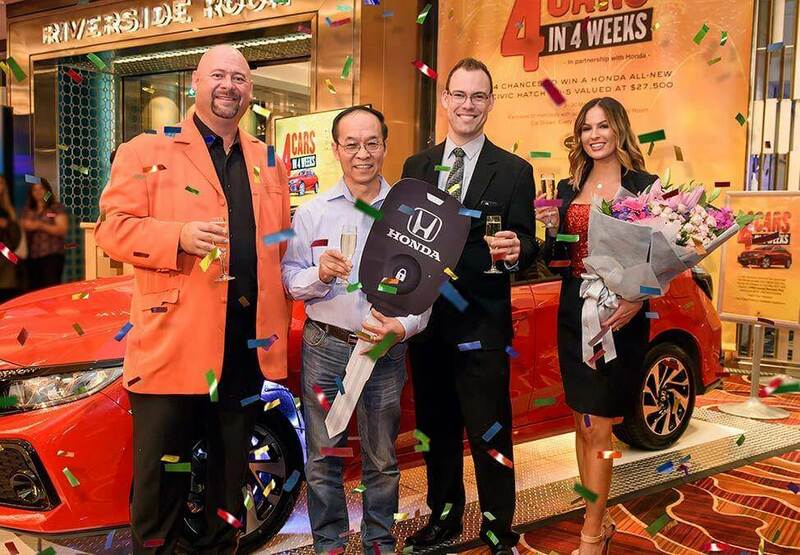 Click play to relive the fun and excitement from the 4 Cars in 4 Weeks draws. Not a Crown Rewards member? Joining is quick, easy and free. Join now and discover more with Crown Rewards. 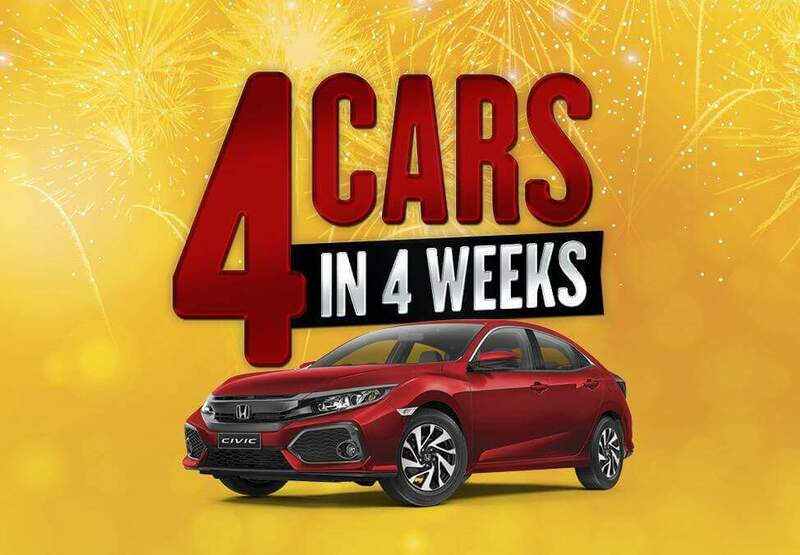 Visit Crown Perth today and you could be our next lucky winner! Play Crown Hold’em or Crown Stud Poker and cover the Progressive Poker Jackpot bet for your chance to win. Congratulations to all the happy winners who played Cash Case at Crown. Congratulations to the two lucky winners who have each walked away $25,000 richer at the $500,000 Summer Spectacular Grand Prize Draw. Find out more. Four lucky members were excited to share in $10,000 cash at our surprise bonus draws held on the night of the Winnebago Grand Prize draw.